South African based companies looking to either recruit foreign workers or transfer employees from an overseas office, have a number of South African corporate visa options open to them. Each visa serves a specific purpose and comes with its own requirements that have to be satisfied in order for the visa to be issued. 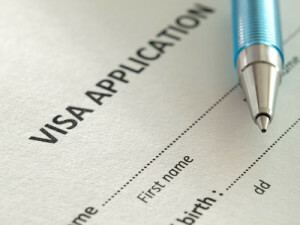 Companies planning on employing a large number of foreign employees can apply for a corporate visa. If successful, the company will receive corporate workers certificates, which foreign job applicants will use to apply for individual corporate workers visas. This visa is ideal for multi-national companies with branches, subsidiaries or affiliates in South Africa, looking to transfer employees to the South African office. A critical skills work visa is based on a list of critical skills in South Africa. It carries many benefits for the employer, of which the most notable is that there is no need to try and recruit a South African permanent resident or citizen before offering a job to a foreigner in possession of a critical skills work visa. The general work visa is used when a foreigner does not qualify for another work visa. As the South African government wants to protect the job security of its residents and citizens, the general work visa comes with a few key responsibilities for the employer. The quota work permit was withdrawn in June 2014. If there are foreigners on this visa on your payroll, they will no longer be able to work for you once their permits expire. Other options will have to be explored to continue the working relationship. Just like the quota work permit, the exceptional skills work permit was withdrawn in June 2014. Again, foreigners will not be able to continue working on this permit once it has expired and it is recommended to explore other visa options. For short-term business visits or work obligations, foreigners only need to apply for a visitor’s visa for business purposes. They would still need to meet certain criteria and they are not allowed to receive payment from their host company in South Africa. To further explore the South African corporate visa options, and to find out how Intergate can help your company, feel free to give us a call. You can reach our Cape Town office on +27 (0) 21 424 2460 or our Johannesburg office on +27 (0)11 234 4275. If you like, you could also get us to contact you instead by requesting a free call back. Rest assured that Intergate is in the perfect position to help. We are the only immigration company in South Africa with ISO 9001 certification and since our inception in 2005, our team has processed more than 9 000 visa and visa related queries.